When it comes to being sun smart and protecting your skin while having fun under the sun, knowing the ins and outs of sunscreen will you enjoy your outdoor adventures even more. Take some healthy advice from the sun care experts at Lovely Skin in this sunscreen review. To prep you for a protected summer season, we’ve got the lowdown on common sunscreen questions. If you’ve ever stood in the sunscreen aisle wondering, “What does SPF mean?” or “How does sunscreen work?” If so, it’s time to get schooled on the basics. 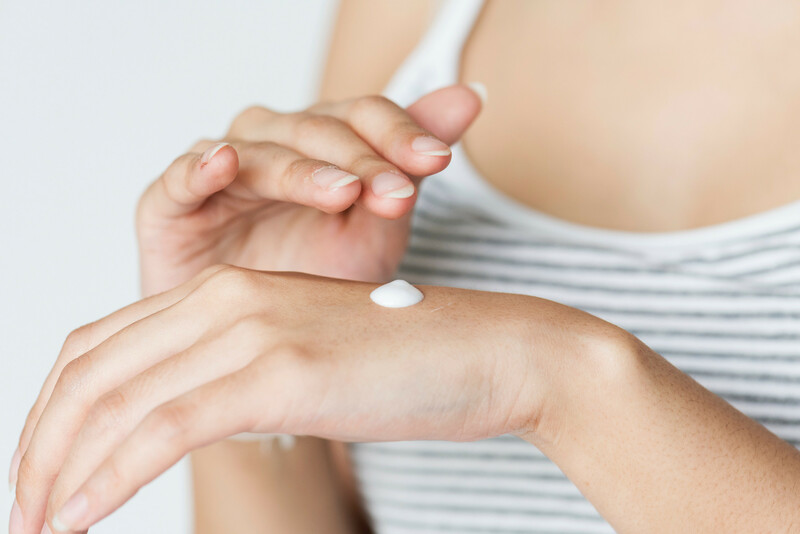 You may be surprised to learn our dermatologist, Dr. Joel Schlessinger, feels there is another thing that may even be more important than SPF that you don’t know about! SPF is an acronym that stands for sun protection factor. SPF is measured numerically and indicates how long your skin would take to burn with sunscreen versus without. For example, let’s say your skin typically burns after 10 minutes in the sun. That means an SPF 15 sunscreen would protect you for 15 times that, or 150 minutes. The higher the SPF, the more protection a sunscreen provides. Remember, all sunscreens should be reapplied every two hours. The thing about SPF is that it doesn’t measure UVA protection–it only measures UVB protection. So you can have an SPF of a zillion and still get sun damage, cancer and WRINKLES if you don’t find a sunscreen that covers for UVA protection. Don’t worry though because we got you covered…literally! When it comes to active ingredients in a sunscreen, you can expect to see either a physical blocker or a chemical blocker. They cover for both UVB and UVA, but some protect longer than others. Physical blockers, which come in the form of minerals such as zinc oxide or titanium oxide, work by providing a physical barrier that deflects the sun’s rays from your skin. Chemical blockers—popular ones include oxybenzone, octisalate, avobenzone and octinoxate—work by creating a chemical reaction on the skin that absorbs UV rays. You’ll also want to look for the keywords “broad-spectrum” on the label, which indicate that the sunscreen will protect your skin against both UVA rays, which age the skin, and UVB rays, which burn the skin. What number SPF should I be using, and how do I figure out if a sunscreen has UVA protection? The American Academy of Dermatologists recommends using a sunscreen of at least SPF 30. No sunscreen, no matter how high the SPF, blocks 100 percent of the sun’s rays, and as SPF rises, the amount of protection levels off. For instance, a sunscreen with SPF 15 blocks about 93 percent of the sun’s UVB rays; SPF 30 blocks about 97 percent of UVB rays and SPF 50 blocks about 98 percent of rays. While SPF is an important component of any sunscreen, SPF only reflects the amount of UVB protection it provides. This further stresses the importance of finding a sunscreen offering broad-spectrum protection. There is no number associated with UVA protection, but we recommend sunscreens that have a designation of “broad-spectrum” UVA protection. We’ve listed our favorites below. Sadly, there just isn’t a great way to know, and that is why we (and Dr. Schlessinger!) are very picky about what we sell and recommend on LovelySkin.com. Check out some top sunscreen picks from board certified dermatologist, and CEO of LovelySkin, Dr. Joel Schlessinger. All provide broad-spectrum protection with an SPF value of 30 or greater. As we mentioned earlier, broad-spectrum protection is essential because it indicates the sunscreen protects against UVA rays as well as UVB rays. While some hesitate to use sunscreens with chemical ingredients, this may also sacrifice optimal sun protection. Chemical sunscreens provide additional protection which has led to their popularity. The American Academy of Dermatology and the Skin Cancer Foundation agree the skin-protecting benefits of these sunscreens far outweigh any potential downsides.